"LEGO BATMAN: THE MOVIE - DC SUPER HEROES UNITE"
The Lego videogames are some of the most enjoyable on the market. Beloved movie series are reenacted with the popular building toys, which makes them humorous, yet the gameplay is also a lot of fun for both kids and adults. So far, there have been Lego Star Wars, Indiana Jones, Harry Potter, Lord of the Rings and Batman games. Because of their popularity, a small cottage industry has cropped up. You can now find all kinds of merchandising based on them. For people who love both Lego and the Dark Knight, there's also a film. Lego Batman: The Movie – DC Super Heroes Unite is available on DVD and Blu-Ray combo pack. Actually, the movie is mostly cutscenes from the game “Lego Batman 2” stitched together to tell a story. Lex Luthor grows jealous when he loses a prestigious Man of the Year award to Bruce Wayne. He licks his wounds by deciding to run for President. To help him instill fear in voters, Luthor enlists the Joker to create chaos in Gotham City. Using a special “Black Lego Destructor Ray,” they disassemble Batman's cave and all his gear. The Dark Knight reluctantly turns to Superman to aid him in fighting Luthor and the Joker. Eventually, a bunch of other DC heroes, such as Green Lantern and Wonder Woman, join the fight, too. Although you can see this story by playing the game, it's nice to be able to watch it without interruption. When I played “Lego Batman 2,” I found that I couldn't remember what was happening story-wise from session to session. Also, there are many clever jokes and references that you notice more clearly when you have this sort of continuity. Lego Batman: The Movie is often quite funny, possessing a witty take on the superhero characters that populate its story. If there's a downside, it's that by stitching cutscenes together, the plot doesn't always flow smoothly. This is because most of the action (i.e. the gameplay) is excised. Even so, Lego Batman: The Movie is beautifully animated and utterly charming. It's one the whole family can enjoy together. Lego Batman: The Movie – DC Super Heroes Unite will be released as a Blu-Ray combo pack and DVD on May 21. It will also be available on demand and for digital download. An UltraViolet copy comes with the pack, as does a Lego Clark Kent/Superman figurine. 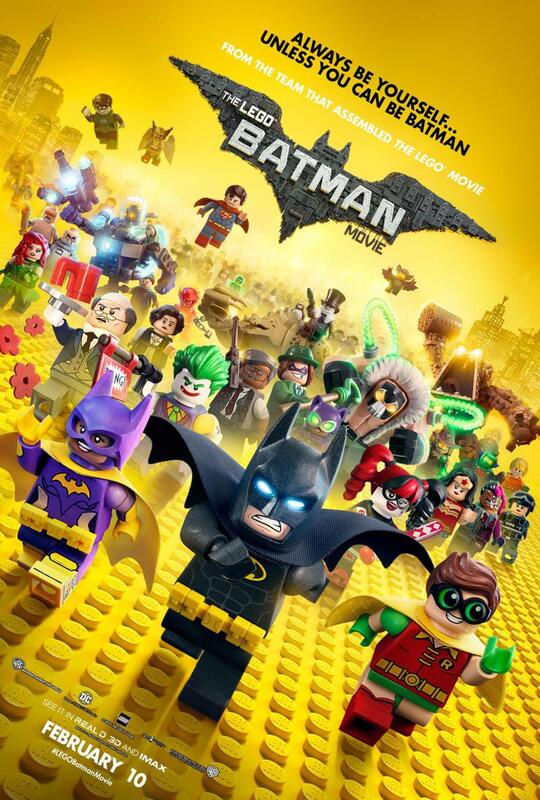 The bonus materials are “Building Batman,” a featurette in which Lego builder Garrett Barati teaches kids to animate their own Batman mini-movie. “Lego Batman Jumps Into Action” is Barati's teaser trailer that he created for Lego Super Heroes. There are additionally several shorts from the Lego/DC Universe Super Heroes Video Contest. As you can tell, these features are designed to show kids the magic of Lego animation. Two bonus episodes of Batman: The Brave and the Bold and Teen Titans round out the bonus materials, along with assorted trailers. Lego Batman: The Movie is unrated, but suitable for all ages. The running time is 1 hour and 10 minutes.